The Toyota Cressida was the US Market equivalent of the Toyota Mark II and combined classic Japanese driving experience with a Jaguar/Mercedes-esq front end. 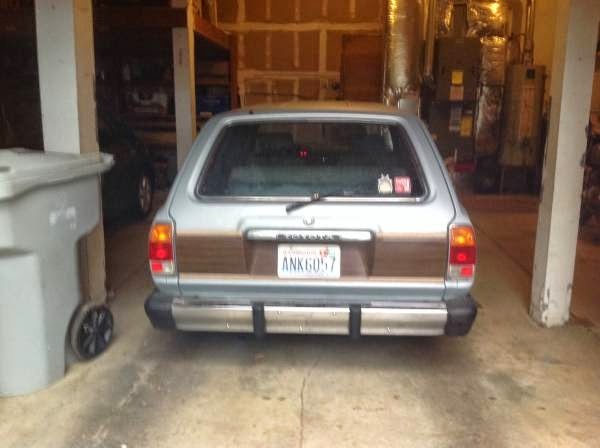 If you think a long roof Cressida will attract hipsters, checkout this woody version --it's like a fishook covered with vintage hats, great for snagging a bearded dude in skinny jeans. A stock Cressida/Corona Mark II won't be the fastest car around, but for the price of admission it offers a level of cool that is unmatched by much from Japan from the era. 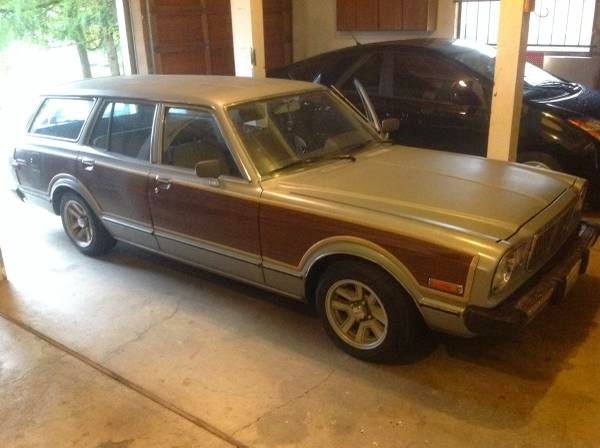 Find this 1978 Toyota Cressida Wagon offered for $2,600 in Happy Valley, OR via craigslist. Tip from Mike. This Cressida hasn't been defaced by some wood applique wielding customizer, that is faux wood paneling made from vinyl that is applied at the factory. Sort of makes the car look like a 7/8ths scale Ford Fairmont wagon, but it should be slightly more fun to drive. The USDM Cressida is powered by a 2.6 liter 4M inline-6 that is unfortunately mated to a slushbox. 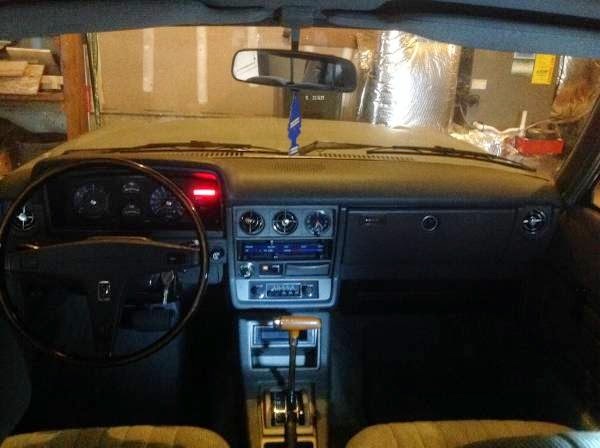 The automatic shifter sticks up from the center console like some kind of piece of sculpture -- it is hard to see in the sellers craigslist photos, but a quick internet search and we found his build thread here on stanceworks forums. I want this car SOOOOO bad. I have been looking for a pre-1980 cressida for quite some time. I've run across a few, but they are either heavily modified, across the country, or outrageously overpriced. 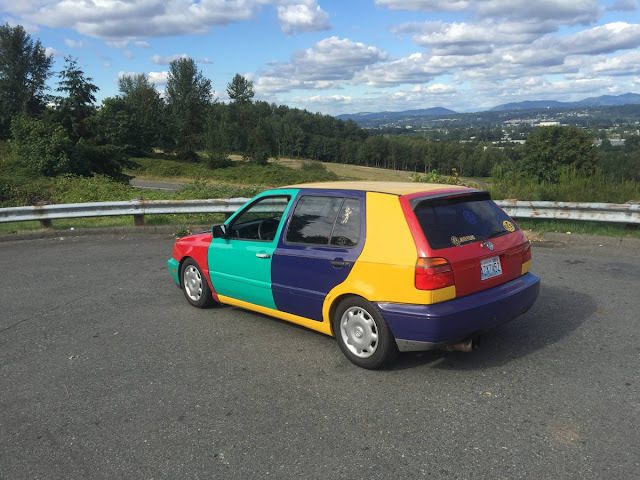 Especially since this is a wagon, this car kills me. I want it. But why does it have to be in Oregon, and have Washington plates on it? Why God? Why not let someone sell one down here in SoCal with a clean history. Why. Register it in CA first, get the title in your name, all that jazz. This probably isn't your first rodeo, but last 2 cars I bought from out of state had to go through the "vehicle verification lane" at the DMV before they'd let me tag them here. Probably just me being over-cautious... but if you roll through in your "diesel" 245 with a Mad Max style blower sticking through a hole in the hood and reeking of 110 leaded, they might suspect something. Looking forward to the write-up!! AAA verified the VIN and gave me CA plates for the diesel. Job done. Now it never needs to be looked at by an official again. Gotta love this thing, especially with the Supra wheels. It's only a 2JZ + manual swap away from greatness. I've never owned a vintage hat, just the thought of it is kind of gross.